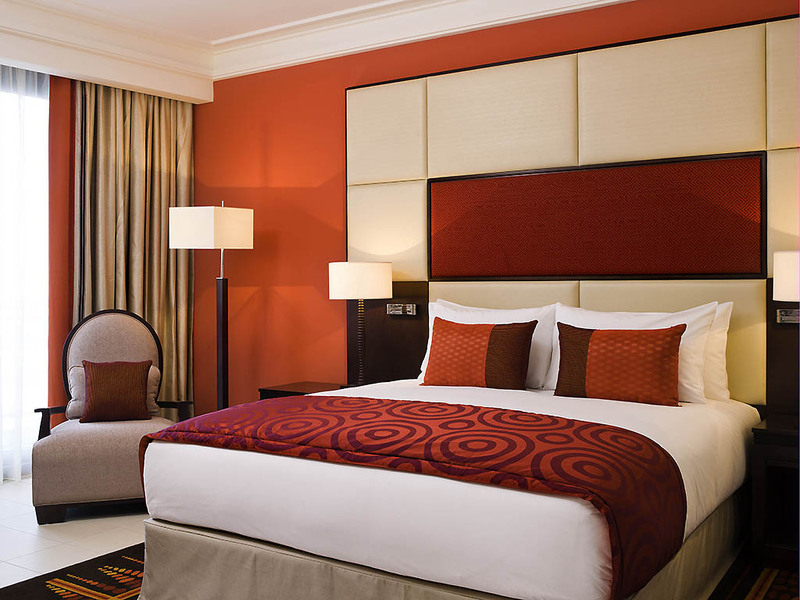 Discover Sofitel Malabo Sipopo Le Golf a luxury 5-star hotel and resort in Equatorial Guineas brand new city of Sipopo. Discover Guineas first 18-hole golf course set by the sea among tropical foliage and native ceiba trees with views on clear days to Mount Cameroon. Discover a private white sand beach private island tennis courts a swimming pool overlooking the sea. Discover the essence of Africa in 200 rooms and luxurious suites - all with stunning views of the sea or golf course. The hotels wave-like shape reflects contemporary African architecture and the sea. Please join us for a Magnifique voyage along the exotic riviera of Bioko Island where French elegance blends with the essence of Africa where natural serenity is tinged with style and indulgence. Life is Magnifique in Sipopo..
Just twenty minutes from Malabo, capital of Equatorial Guinea, escape to our luxury Sipopo hotel and resort. Set by a white sand beach, hugged by ceiba trees and Guinea's first golf course, this is a luxury oasis for business trips and family vacations. Take advantage of a free shuttle service from Malabo International Airport, 20 minutes away. By car from Malabo city center, follow signs for Sipopo and you will see Sofitel Malabo Sipopo Le Golf on the left, 500 m past Sipopo Conference Center. 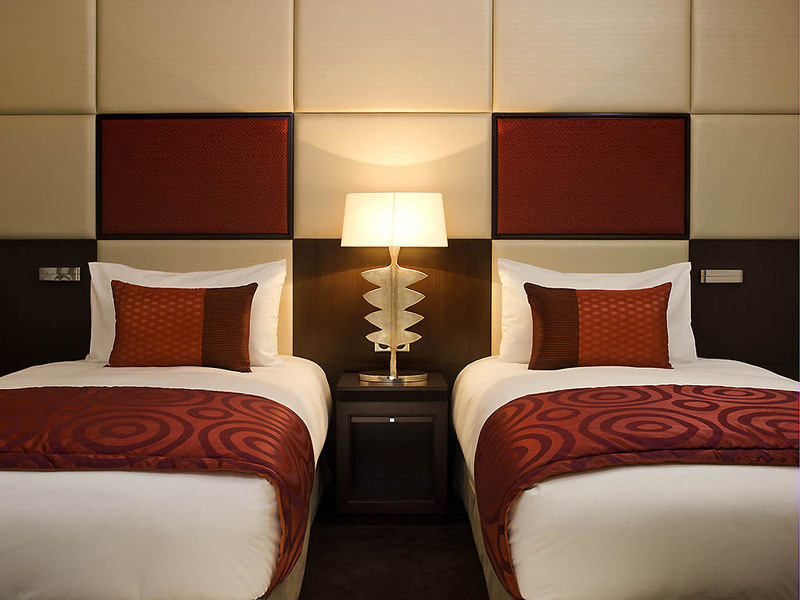 Sofitel Malabo Sipopo Le Golf offers 200 spacious guests rooms of which 10 suites. Deftly conceived, all rooms offer spectacular views to the sea and private botanical island or the golf course, but also a peaceful haven for business and relaxation. For exclusive accommodation in Equatorial Guinea's new development of Sipopo near Malabo, select one of 10 Prestige Suites. Bask in sea views and sunshine on the balcony, luxuriate in rain showers and designer amenities in the Suites gleaming bathroom. 35m²; 375sqf, elegantly decorated, modern and contemporary design, large window panels with spectacular views onto the golf course, 5m² balcony, Sofitel MyBed, LCD flat screen TV, minibar, french amenities, complimentary low band internet access. 35m²; 375sqf, elegantly decorated, modern and contemporary design, large window panels with breathtaking views onto the beach, botanic island and Mont Cameroun, 5m² balcony, Sofitel MyBed, french amenities, complimentary low band internet access. 70m²; 755sqf, elegantly decorated, modern and contemporary design, separate living room, two large window panels, spectacular view to the beach, botanic island and Mont Cameroun, 5m² balcony, french amenities, complimentary low band internet access. Take a voyage through authentic French cuisine fused with local specialty Guinea dishes in Sipopo's finest restaurants. A destination for residents of Malabo, the restaurants feature sleek interiors, African art and breathtaking views of the sea. From our three stylish Sipopo bars you can lap up serene views of the beach, sea and golf course. Savor pre dinner cocktails at upscale lounge bar Le Cacaoyer, cool off in Horacio by the pool or relax in Le 19 after a round of golf. The "19th hole" of Guinea's first golf course is this relaxed brasserie-style restaurant inside the Club House. After a round of golf, refresh yourself with delicate croquettes and charcuterie platters overlooking the course and the sea. Fruits de mer are served in this cozy French-style brasserie - along with exotic tastes from Equatorial Guinea such as fried plantains. A superb seafood restaurant in Sipopo for a hearty breakfast, Sunday brunch, business lunch or à la carte dinner. Select gourmet French cuisine with a Guinean twist in this gastronomic restaurant. The menu reflects the restaurant's harmony of innovative design, French style and traces of Africa. Dine under the stars on a terrace overlooking Sipopo's floodlit beach. Overlooking the mile-long white sands of Sipopo beach, this poolside bar is ideal for staying cool while sipping a tropical fruit juice or signature cocktail. Take in breathtaking views of the sea and, on clear days, Mount Cameroon. After a round of golf on Guinea's first 18-hole course, settle back in the convivial atmosphere of the clubhouse for a cold beer or celebratory cocktail. Panoramic views of the sea complement tasty French snacks like croquettes and charcuterie. A Sipopo bar with a warm ambiance, elegant French seats and colorful African art. It reflects the spirit of Bioko Island with sparkling lights, tropical cocktails, fine wines and a tasty snack menu. Relax after a conference in Sipopo or day on the beach. Sipopo is Equatorial Guineas most outstanding venue for conferences and meetings close to Malabo airport in the natural beauty of northeast Bioko Island. Built for the African Union summit in 2011 Sipopo hosted the 2012 Africa Cup of Nations. At this Sipopo business hotel you can host Magnifique conferences and events for up to 300 guests. Seven flexible meeting rooms and a sleek banqueting space offer natural light high-tech audiovisual facilities and creative catering. Hold a spectacular cocktail party or finger buffet on the Presidential Terrace overlooking the sea and golf course or a private banquet in Le Voyageur. Our InspiredMeetings team are on handyour event in Sipopo to ensure every detail is perfect. 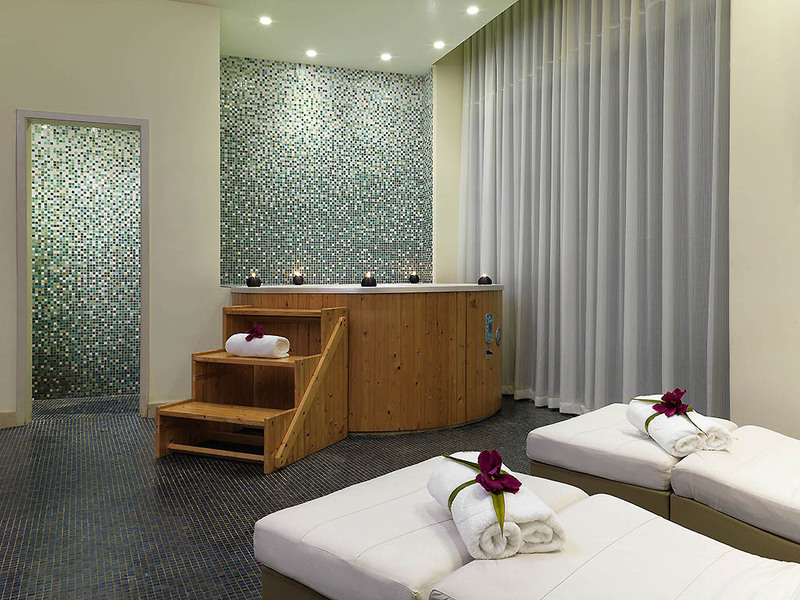 Pamper yourself in our Sipopo spa whose two saunas, jacuzzis and treatment rooms tempt both business and leisure guests. Flick through a menu of relaxing massages - perhaps themed by golf or chocolate. Play golf on a new 18 hole course with a driving range and putting green. Relax on a private beach, visit our private island's botanic garden, swim in a pool overlooking the sea, play tennis, billiards, retreat to a reading room. Airport limo service. Equatorial Guinea's first 18 hole golf course at Sipopo is set amid tropical foliage and ceiba trees with outstanding sea and mountain views. Take advantage of golf lessons, equipment loans at pro shop, putting green, driving range and clubhouse. After a day at a conference in Sipopo or relaxing by the pool or beach, revitalize your senses at So FIT. Bottled water, fresh fruit and Hermes amenities turn a fitness workout into a pleasurable experience in this high tech Sipopo gym.